What a sweet card! 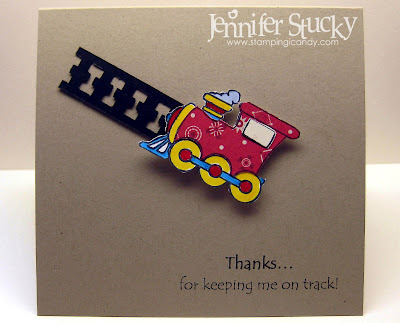 Love that paper pieced train! What a clever sentiment! Simple yet adorable card! Love it! Cute, cute, cute! (Or should that be choo-te?! haha.) I love how you come up with those matching sentiments!